Get a free Corkscrew @ Wine Making Society. Click the link below to go to the Facebook page. 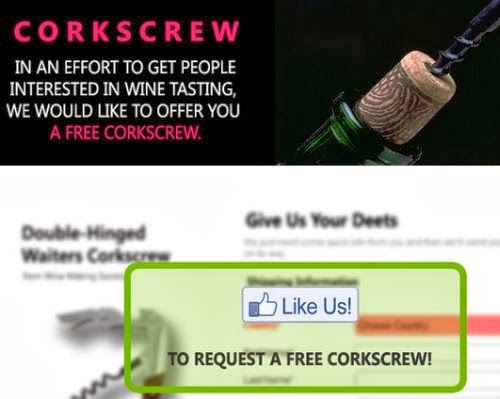 Once you are on the Wine Making Society Facebook page "like" them to get your free Corkscrew. Fill out your mailing information to get your free item.